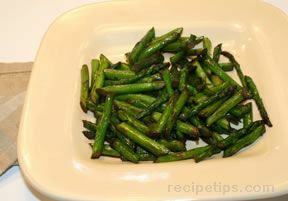 Place asparagus in single layer in baking dish. Drizzle with olive oil. Season with salt and pepper. Bake at 375° for 15-20 minutes, until tender. 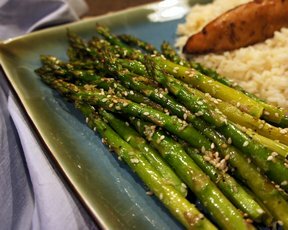 Sauce: brown butter and add balsamic vinegar and soy sauce. 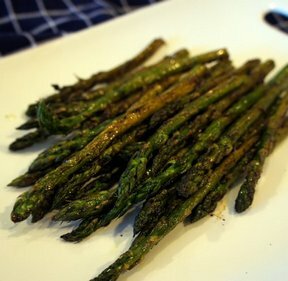 Pour over asparagus and serve.